It's been a while since Shop.ca has had a promo offer, we found one today! 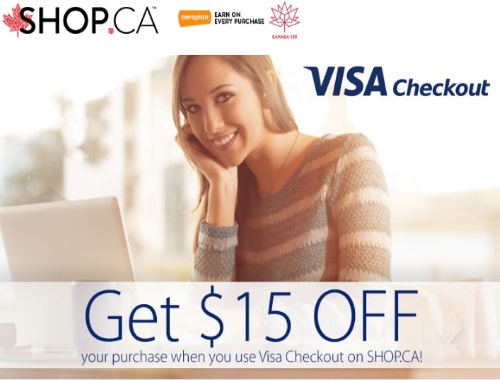 Get $15 off your purchase when you use Visa Checkout! Look for the button on the checkout page. Purchases must be made between July 24, 2017 at 12:01 AM ET and August 27, 2017. Limit of two (2) offers per person.